By Pamela Haag. Focusing on the history of the Winchester Repeating Arms Company, one of the most iconic arms manufacturers in America, challenges many basic assumptions of how and when America became a gun culture. 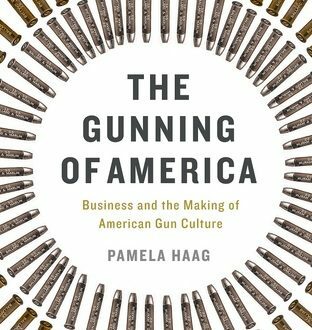 Argues that the American gun culture developed not because the gun was exceptional, but precisely because it was not: guns proliferated in America because throughout most of the nation’s history, they were perceived as an unexceptional commodity, no different than buttons or typewriters. Shows that guns have never “sold themselves” but under the leadership of Oliver Winchester and his heirs, the company used aggressive, sometimes ingenious sales and marketing techniques to create new markets for their product through advertising and innovative distribution campaigns. Read more.